Cargolux Airlines has appointed Jason Holt as its new Nominated Person Flight Operations. As the new post holder, Jason Holt succeeds Wieger Ketellapper, who will fully concentrate on the development of the planned joint venture airline in Zhengzhou, China. The change took effect on 15 October, following the approval of Luxembourg’s Civil Aviation Authority. 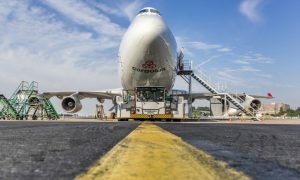 Jason Holt has only recently taken up his position as Cargolux’s new Executive Vice President of Flight Operations. 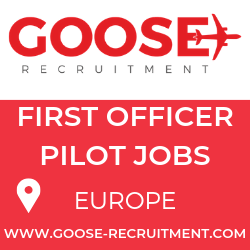 He joined Cargolux from Easyjet Airlines where he held the position of Head of Gatwick Operations and Operational Strategy for the airline. Prior to joining Easyjet, Mr. Holt occupied various directorships at Virgin Atlantic Airways and British Airways franchise BMED. Mr. Holt holds a UK Airline Transport Pilot’s License and is a graduate of the University of London, Massachusetts Institute of Technology and Harvard Law School. In what Mr. Holt sees as the beginning of a new era, he aims to work on strengthening trust within the organization, a factor which he considers fundamental.